The issue of childhood vaccinations is quickly becoming “the” health issue of the 21st century. As the number of children with autism, juvenile diabetes, allergies, asthma, learning disorders, ADD/ADHD and other chronic illnesses reaches epidemic proportions, parents (and scientists) are becoming increasingly concerned and critical of childhood vaccination. Members of the general public are asking questions that need answers. This three-part series, led by Tedd Koren, D.C., explores some of the basic vaccination questions drawing from a wide variety of sources based on empirical clinical findings, U.S. government reports and articles published in biomedical journals – among others. Each session is approximately 90 minutes in length. Certificate of Completion: $7.50 (completion of post-session questionnaire required). Continuing Education Units are available for some professional groups. To view a listing of CEU opportunities, click here. 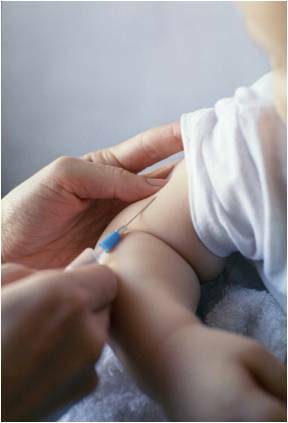 What are the present legal requirements for mandatory vaccinations? Are vaccinated children healthier than non-vaccinated children? Are vaccines safe? Do the benefits of vaccination outweigh the risks? How is vaccine research conducted? How thoroughly are vaccines tested? How long are test children observed? What is congenital rubella syndrome? Does the rubella vaccine prevent it? Tedd also discusses transplacental immunity and how it relates to current vaccination practices. Are there benefits to infectious diseases of childhood? This workshop explores the controversial research on SIDS and vaccinations, the relationship between polio vaccine and cancer, and whether or not polio has disappeared as a result of the vaccine. Epidemiology of childhood diseases, mortality and morbidity, and the Hygienic school of disease is also addressed. This workshop involves an exploration of Juvenile diabetes, Crohn’s disease, autism, post-encephalitic syndrome and a multitude of other chronic diseases and conditions that are associated with vaccinations. The focus is on how conflicts of interest have played a significant role in the introduction and proliferation of unnecessary and harmful vaccinations into state immunization requirements and ultimately – into your child’s body. This workshop concludes with a discussion of the age old debate between expressive and suppressive healthcare. Tedd Koren, D.C. is the most widely read contemporary authority on chiropractic topics, with patient education materials published and licensed for distribution in the United States, Australia, the United Kingdom, Canada, and Japan. He is the author of Chiropractic: Bringing Out The Best In You! , Chiropractic Wellness and Childhood Vaccinations: Questions All Parents Should Ask. He is a contributor to numerous chiropractic and bio-medical publications. In 1995 the U. S Federal Trade Commission tried to prevent Tedd from writing and publishing about chiropractic and alternative health care. In the 6 ½- year legal battle that followed, he and the Washington, D.C. law firm of Swankin & Turner, under the direction of Jim Turner, Esq., succeeded in thwarting the FTC attack on chiropractic education. Emerging from this fight more determined than ever to promote health care freedom, Tedd went on to co-found the Foundation for Health Choice which is devoted to ensuring that providers and patients have an open, free market for health care. He also established an extremely successful holistically oriented health center in Philadelphia, has written extensively for Koren Publications and produced and hosted a popular weekly two-hour call-in show, “Holistic Hotline,” on commercial radio. A native of Brooklyn, New York, and a graduate of the University of Miami and the Sherman College of Chiropractic in Spartanburg, S.C., Tedd was instrumental in founding the Philadelphia-based Pennsylvania College of Chiropractic in 1978, where he taught histology, neurology and chiropractic adjusting techniques. Tedd lives in Montgomery County, Pennsylvania with his wife Beth and children Seth and Shayna. He currently devotes himself to writing, lecturing and doing research, as well as maintaining a private practice. The issue of childhood vaccinations is quickly becoming “the” health issue of the 21st century. As the number of children with autism, juvenile diabetes, allergies, asthma, learning disorders, ADD/ADHD and other chronic illnesses reaches epidemic proportions, parents (and scientists) are becoming increasingly concerned and critical of childhood vaccination. Members of the general public are asking questions that need answers.This three-part series, led by Tedd Koren, D.C., explores some of the basic vaccination questions drawing from a wide variety of sources based on empirical clinical findings, U.S. government reports and articles published in biomedical journals – among others. Each session is 90 minutes in length. Continuing Education Units available for some professionals. Certificates of Completion (optional) : $5 per session (completion of post-session questionnaire required). Click here for more information.